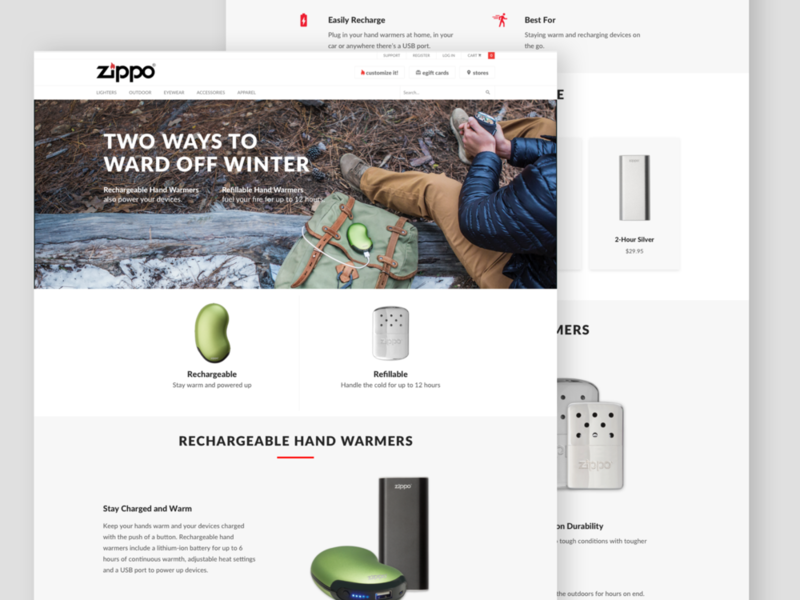 Zippo recently launched two new products, and we created an informational landing page to sell the products. One month after the launch of this page Zippo had their highest online sales. While creating the new landing page experience we also conducted a heuristic evaluation of their website to help enable informed future design decisions.